Maximum strength, incredibly good-looking, and the best fit is what the MAXLINER MAXTRAY cargo liner is all about! Cargo and trunk areas get the most abuse and typically have the most damaged factory carpet. Extend the life of your carpet and keep your vehicle looking sleek with this cargo liner. With its distinctive design, the MAXTRAY cargo liner has a raised lip and molded out edge to help to retain any moisture, dirt, mud, or grime. An intricate grooved pattern on the liner will channel any runoff and keep it from seeping onto your carpet. Manufactured from a low-density polyethylene material the cargo liner is going to resist any cracking, tearing, or extra wear. Utilizing a non-slip textured surface, you won't have to worry about the MAXTRAY slipping. Go ahead and mess up your cargo liner. Don't even worry about ruining it. The MAXTRAY is easy to clean by just simply rinsing it off. Get a lifetime of satisfaction with the fully functional and affordable MAXLINER MAXTRAY cargo liner. MAXLINER MAXTRAY cargo liners come backed by a lifetime warranty. Please contact us at 877-216-5446 if you have any questions. 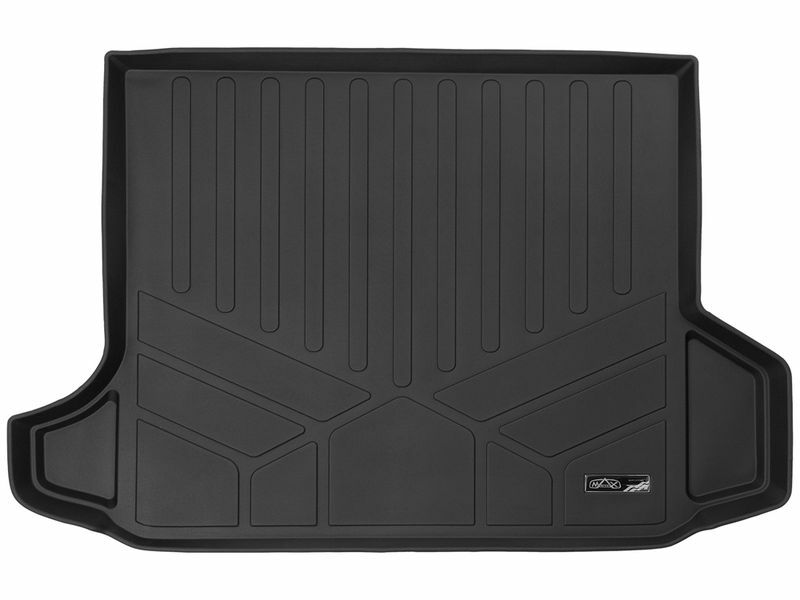 Maxliner floor mats are simple and easy to install, taking only a few minutes. If you have any questions please let us know at 877-216-5446.